Is it "Art Deco" or is it a barbecue? You decide, because our Lil' Pig smokes and cooks just like any other Traeger grill. 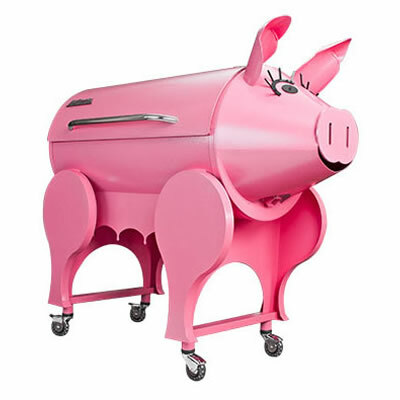 With 418 square inches of cooking surface, and internal hopper, stainless steel door handle, multi-position digital thermostat control, and upgraded wheels, this grill is sure to raise a "squeal" from your guests. "Soo-ee!"